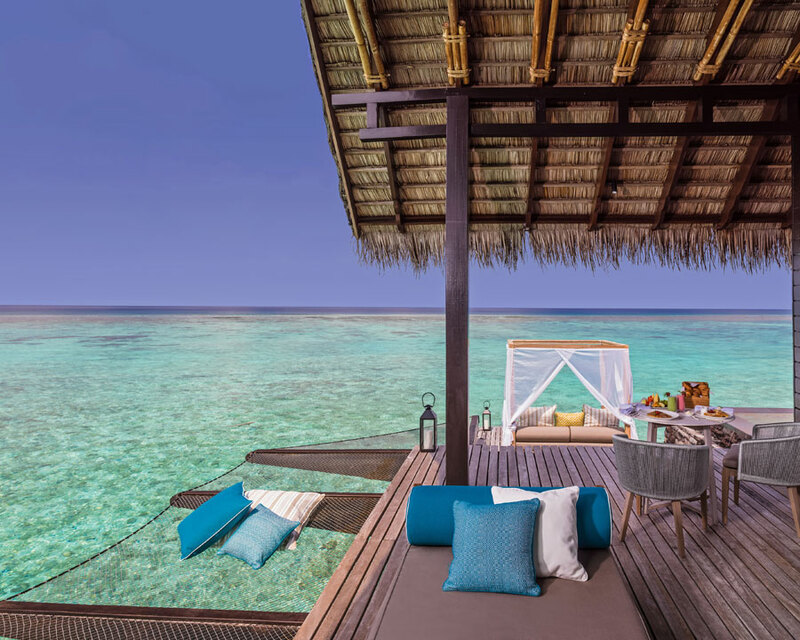 Your royal treatment begins the second you set foot on the gorgeous North Male Atoll where One&Only Reethi Rah lies (45 minutes by speedboat from Malé). 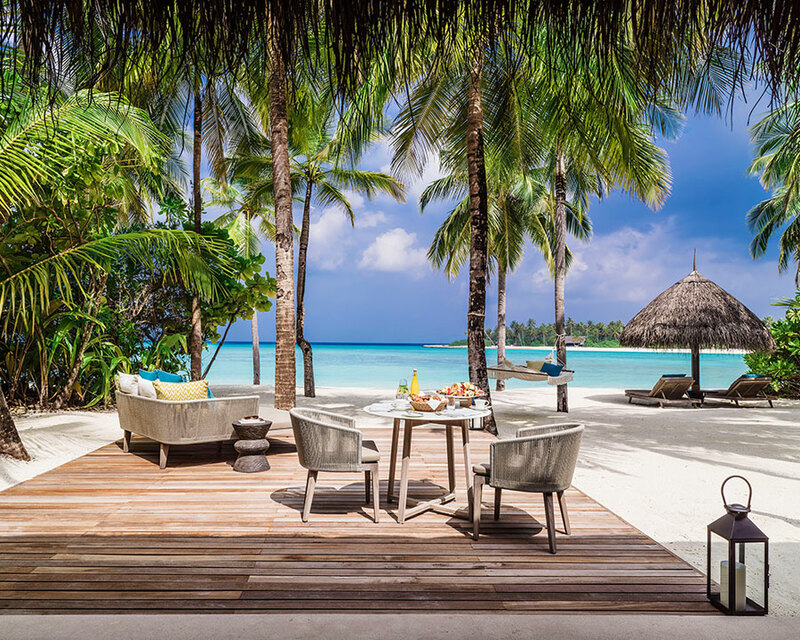 Surrounded by the crystal clear Indian Ocean and miles of sandy beaches, the opportunities to fully relax and soak up the Maldives sun are endless. 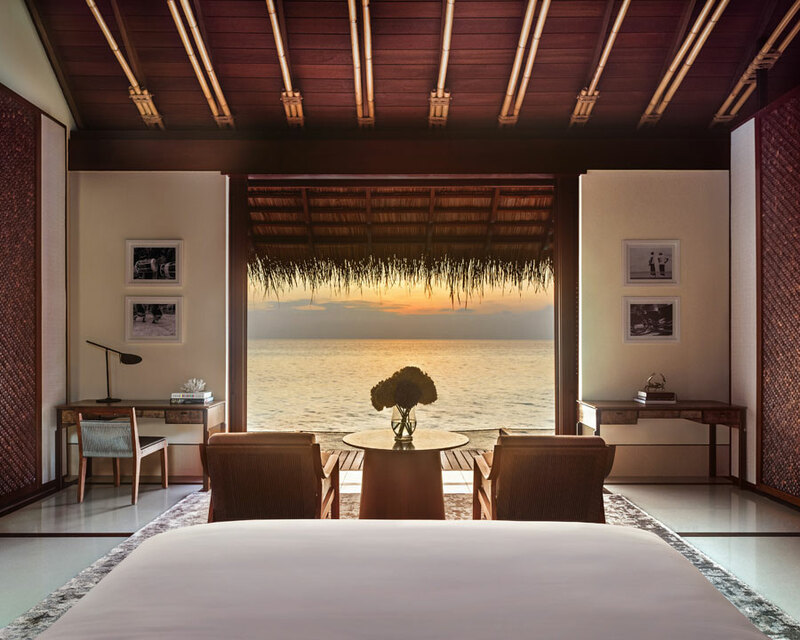 With its tropical beauty accented by elegant accommodation, a stay at One&Only is a treat for all your senses. 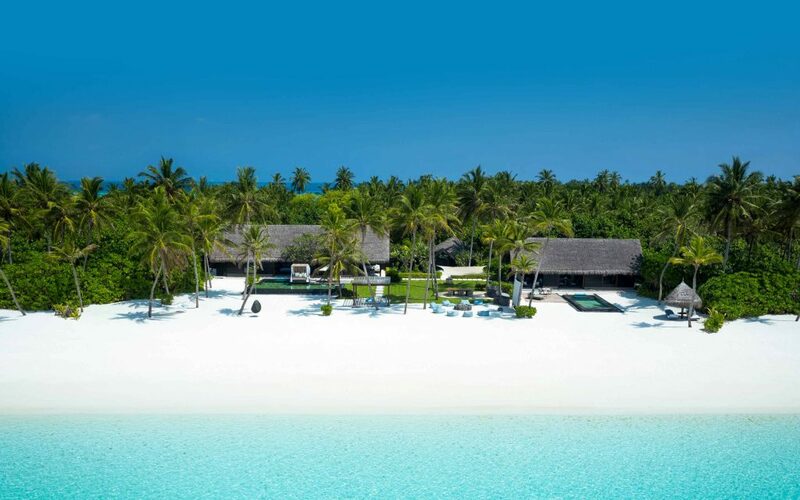 Stop for a moment to feel the soft sand between your toes before you let the warm water of the lagoon bury your feet. 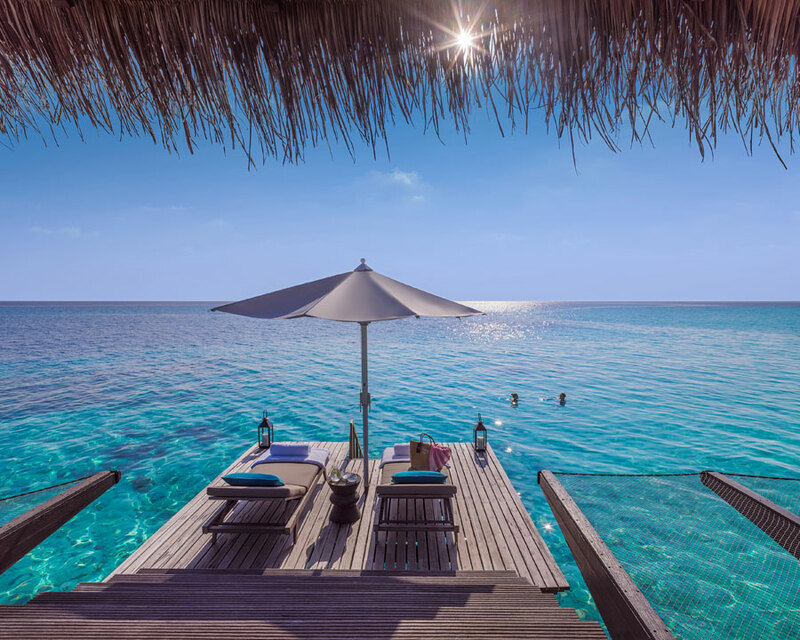 You will remember this feeling for a long time – this is what a holiday should feel like. 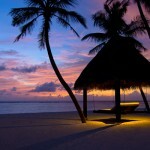 It is almost as if One&Only and Earth are in complete symbiosis to make your Maldives holiday simply unforgettable. 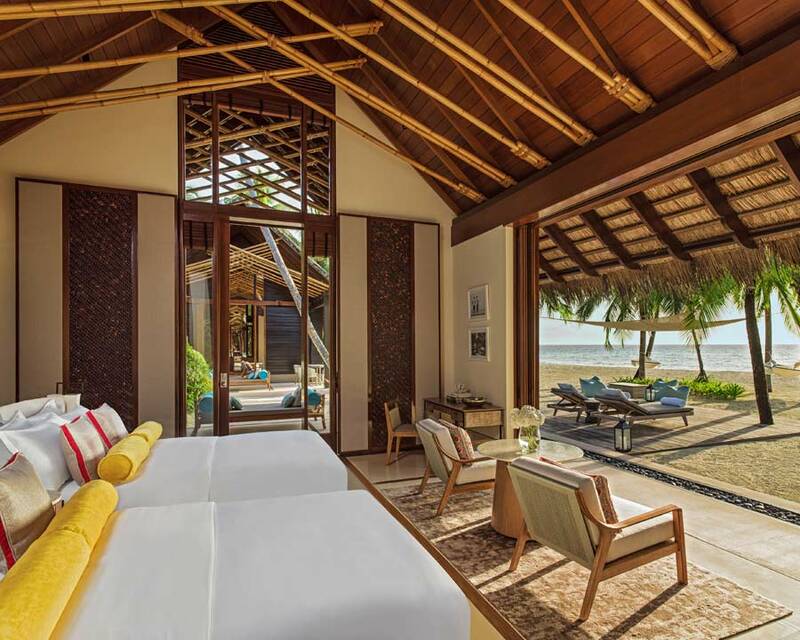 The Beach Villa (135 sqm) has direct access to the private beach. 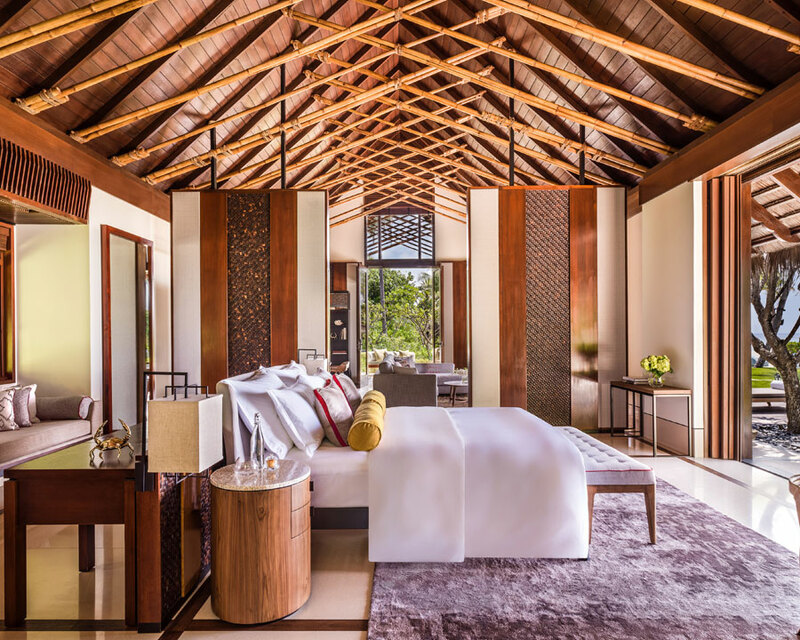 It boasts stunning modern décor and traditional thatched roof for that tropical feeling. 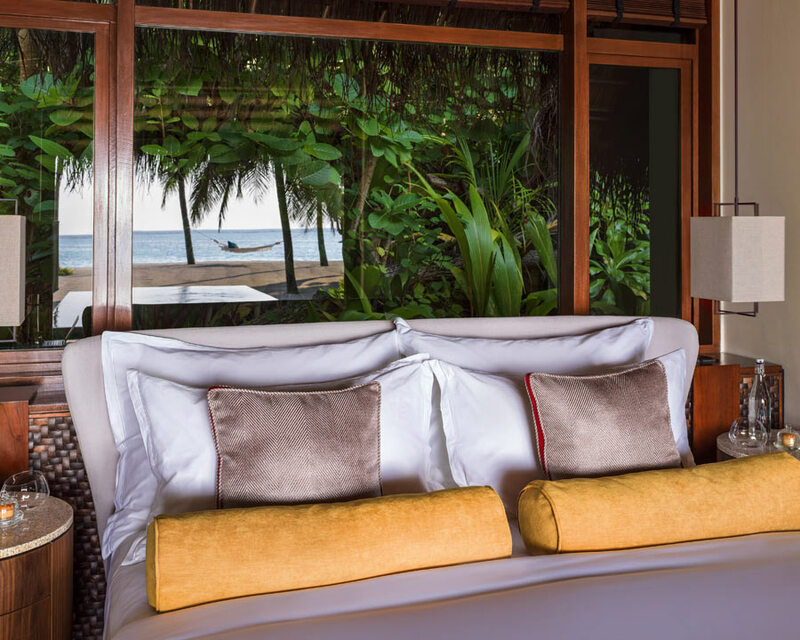 Your large private veranda is perfect for curling up with a good book or a glass of wine in the in the warm evening while listening to the waves of the Indian Ocean in front of you. 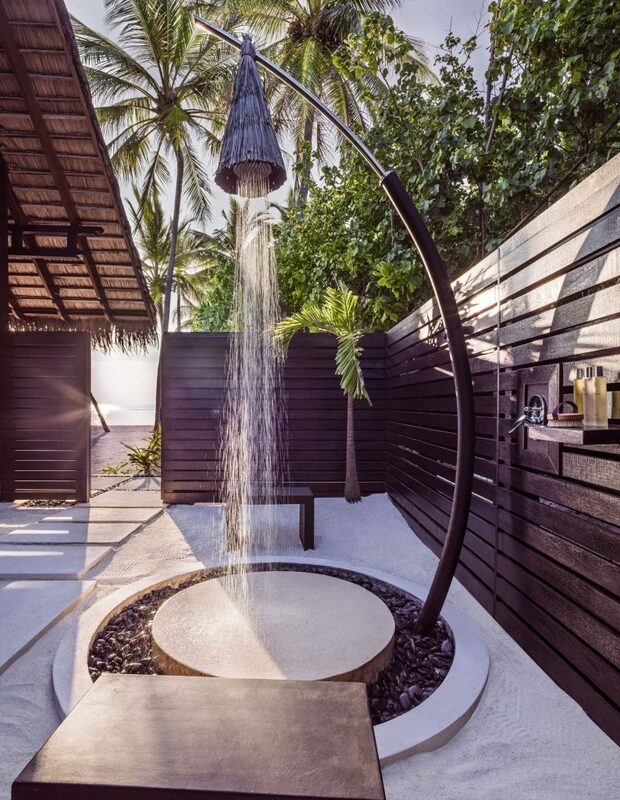 The Beach Villa comes with a king size bed or two queen sized beds, and an amazing outdoor shower. 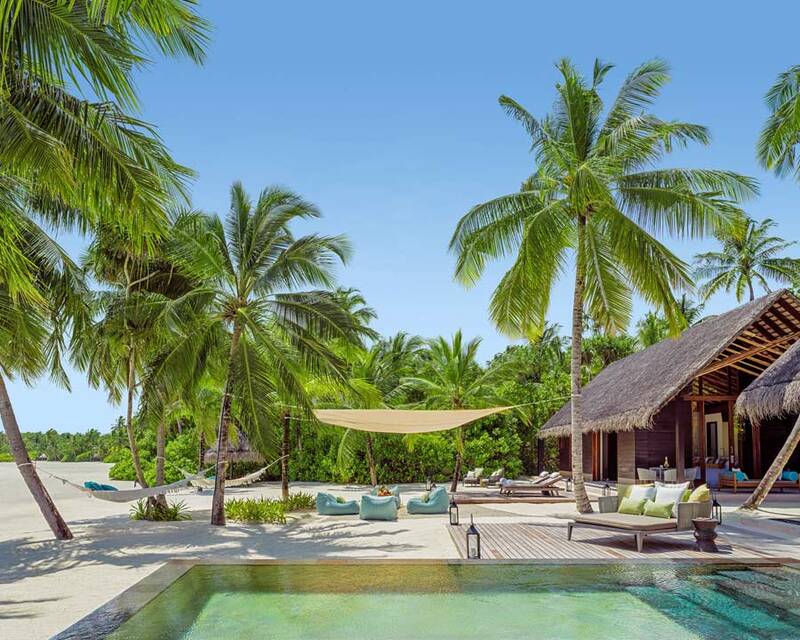 The Beach Villa with Pool (165 sqm) is your chance to indulge in Maldives holiday luxury. 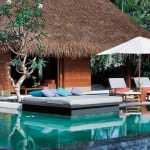 This villa has the same features as the Beach Villa, but also has its own private pool measuring 23 sqm. 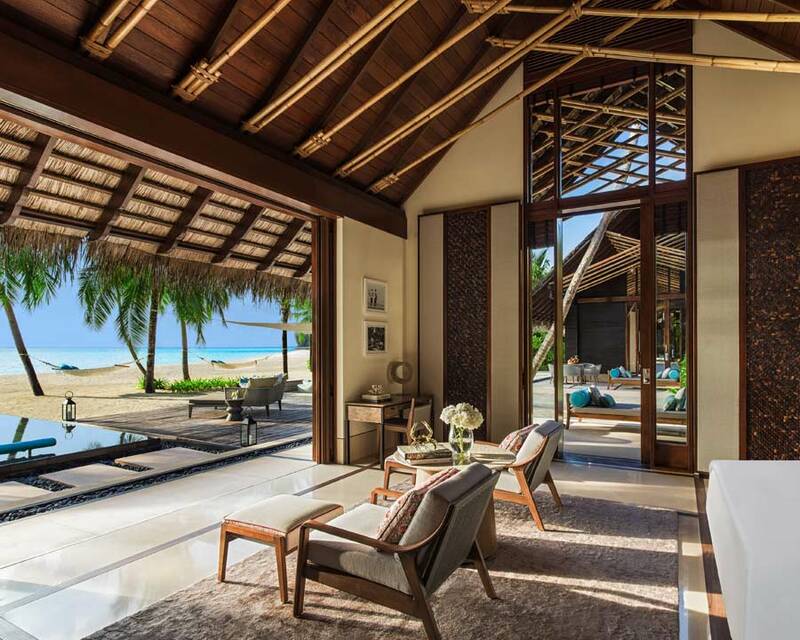 Perfect for families, this two villa residence offers two private freestanding villas with additional space and a shared pool. 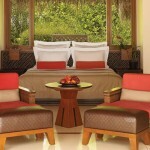 This exceptionally designed villa encompasses superior space and comfort. 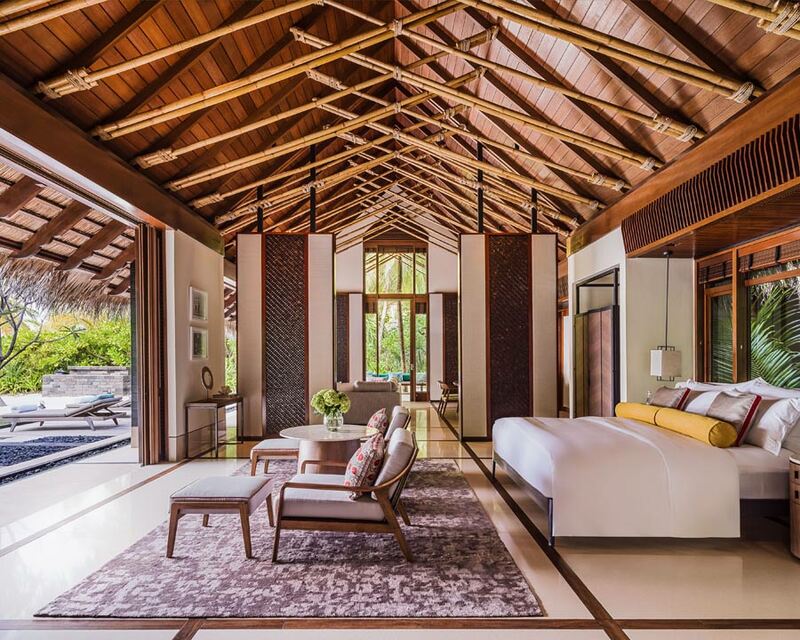 This villa features two bedrooms and beautifully crafted indoor and outdoor living areas as well as a generous private pool. 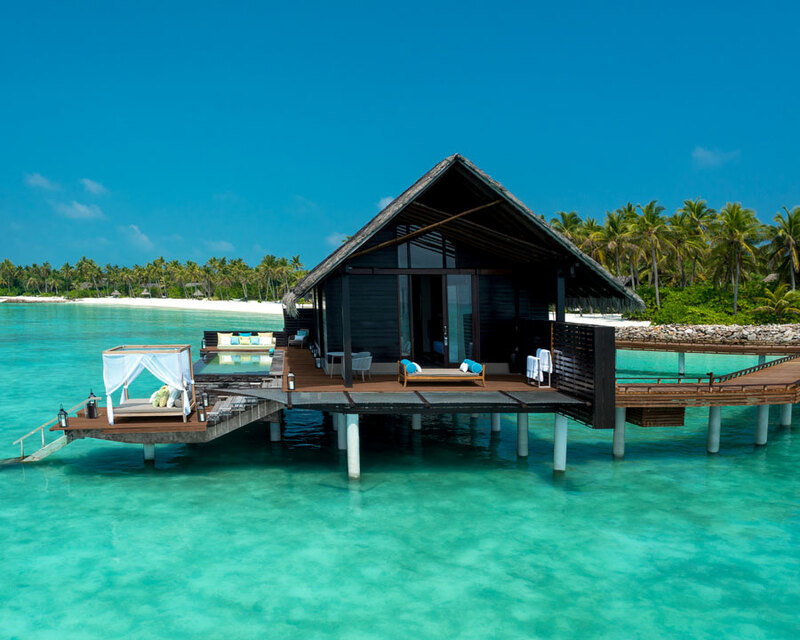 The Water Villa (149 sqm) is standing on stilts directly above the turquoise lagoon. 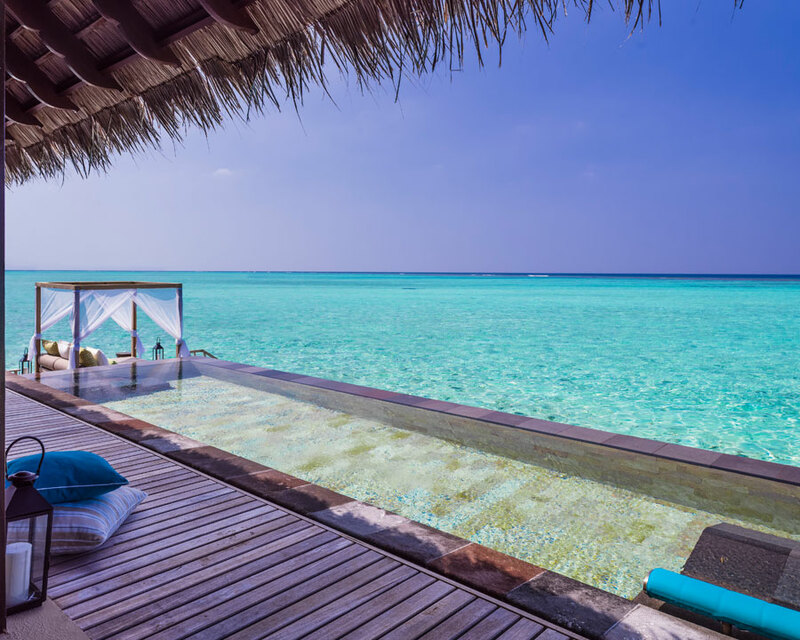 The picturesque Water Villas are connected via walkways and are split into two levels. 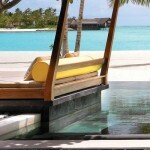 The lowest level has direct access to the warm lagoon. 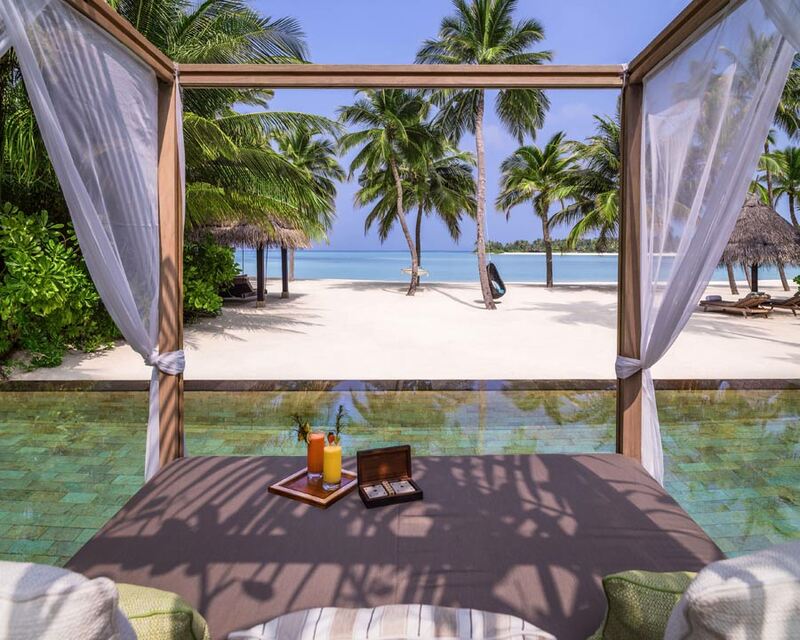 The hammocks on your own private sundeck are perfect for endless hours of complete relaxation in the Maldives sun. 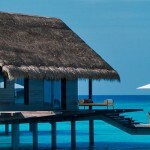 The Water Villa (149 sqm) is standing on stilts directly above the turquoise lagoon. 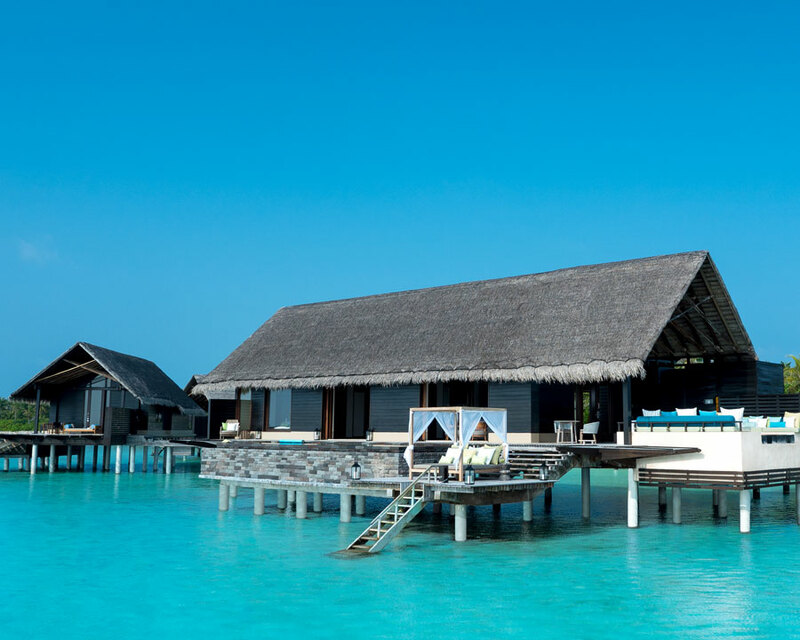 The picturesque Water Villas are connected via walkways and are split into two levels. 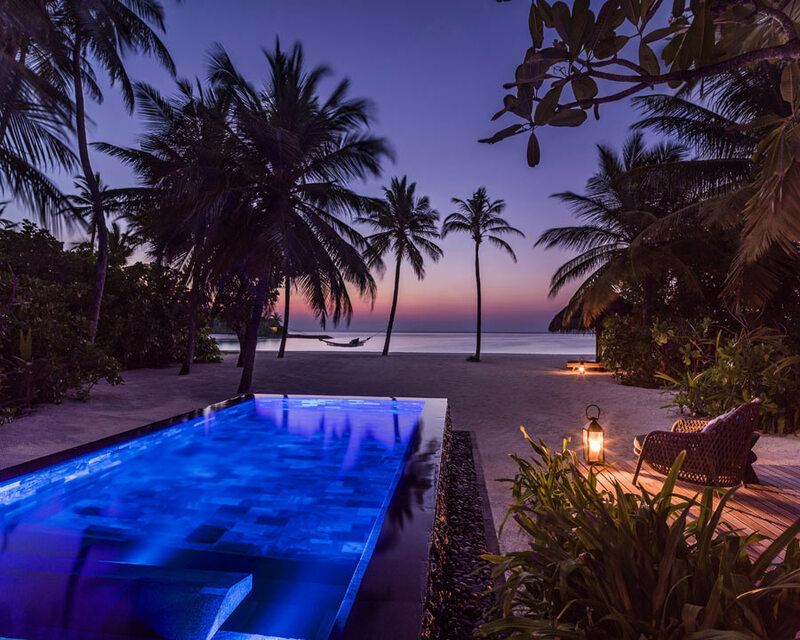 The lowest level has direct access to the warm lagoon. 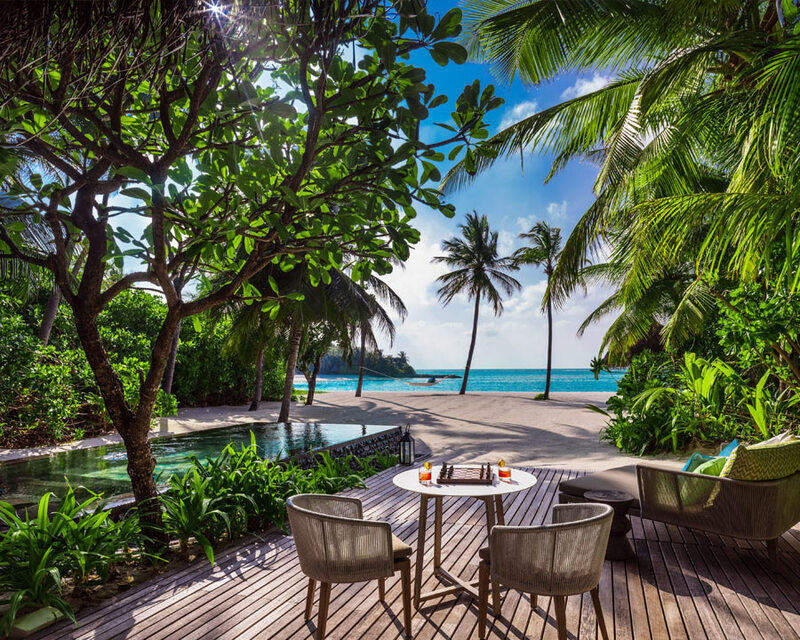 The hammocks on your own private sundeck are perfect for endless hours of complete relaxation in the Maldives sun. 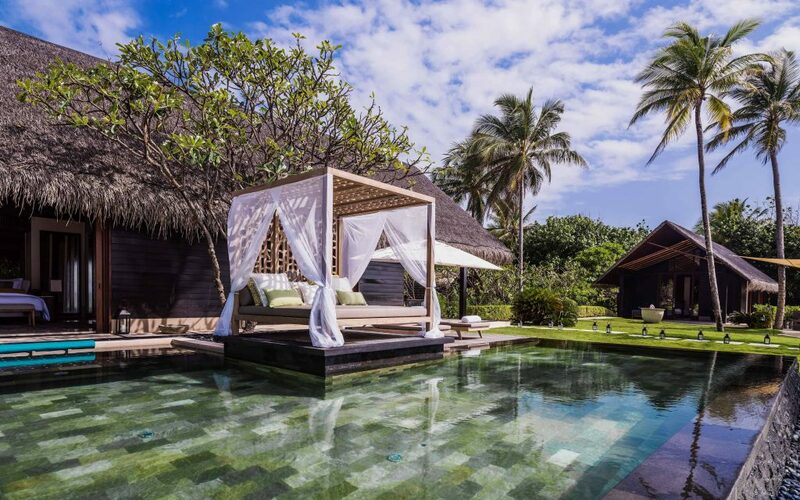 These villas also feature a luxurious private pool. 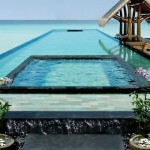 The Grand Water Villa (214 sqm) is located directly the dazzling lagoon. 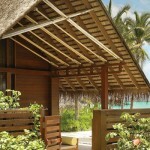 It features a spacious outdoor deck complete with a dining area, over water hammocks and your own private swimming pool. 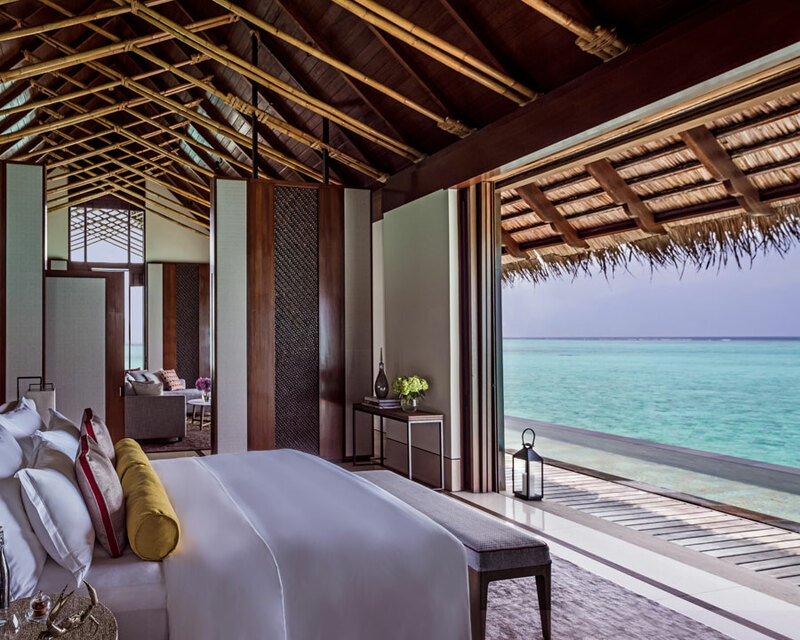 The Grand Water Villa is perhaps the most chic accommodation of them all and includes your own Villa Host. 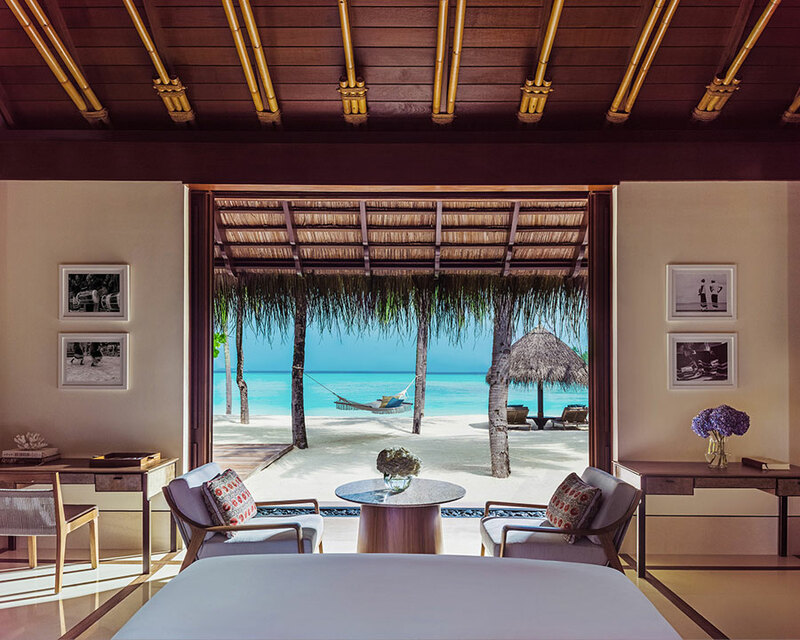 With the island’s largest stretch of private beach, nestled amidst lush greenery at the end of a quiet private road, lies the largest villa at One&Only Reethi Rah. 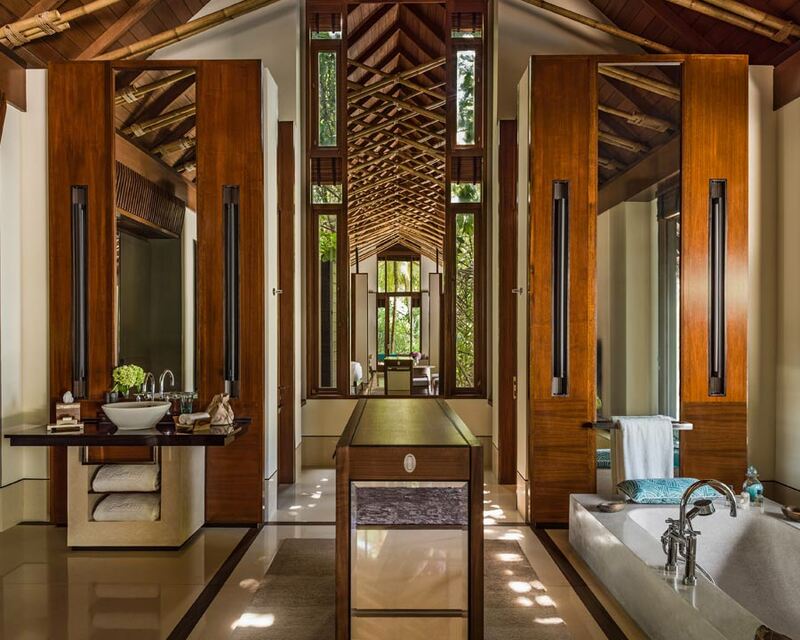 An indulgent residence of grand design and expansive proportion, with fun unique outdoor living spaces and exceptionally designed interiors. 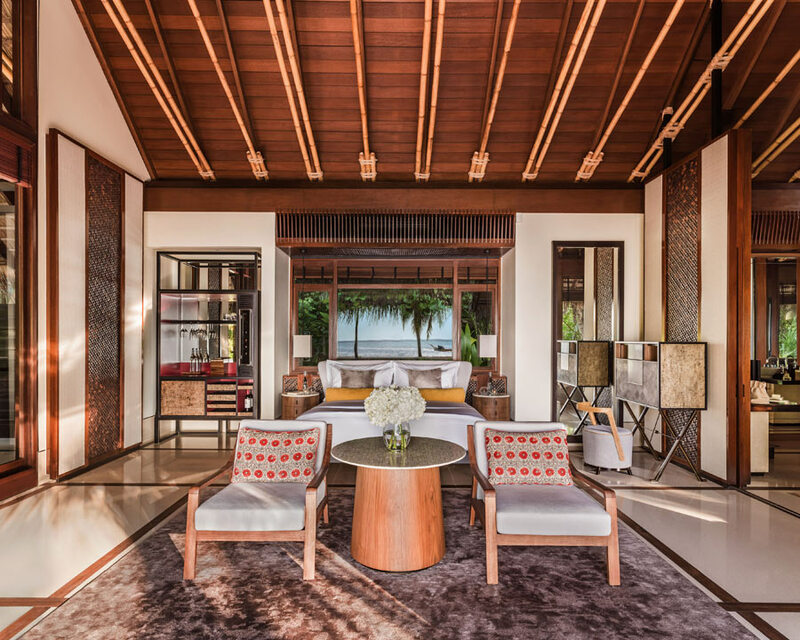 The thoughtful touches found throughout the residence makes this place feel like a home away from home. 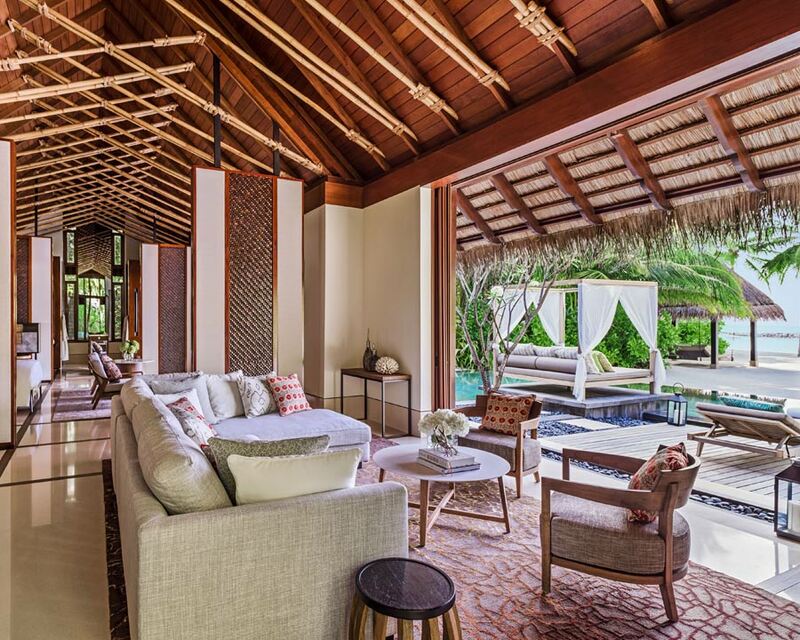 The residence also features a private 50sqm swimming pool surrounded by an expansive terrace and inviting social space for reconnecting and relaxing. 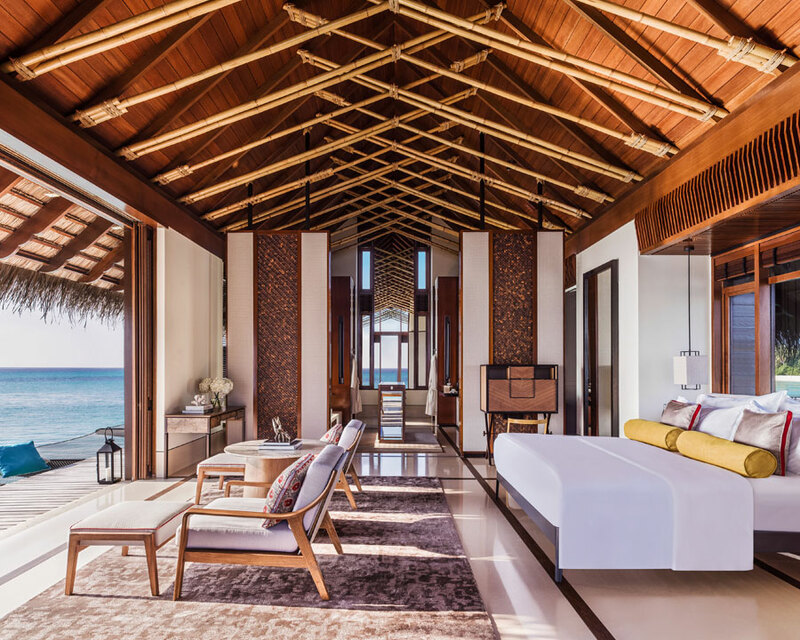 The residence has three sperate bedrooms and living spaces. 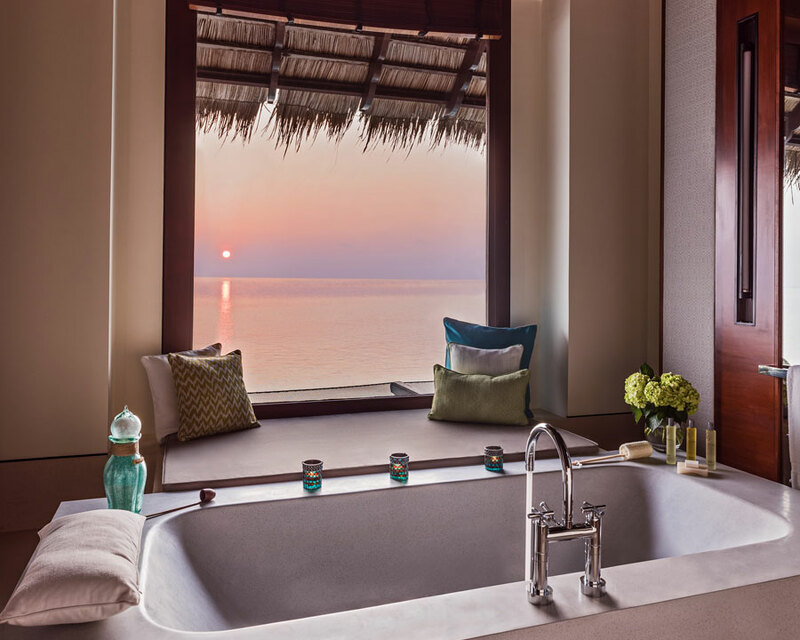 On-site facilities at the grand resort of One&Only Reethi Rah include a beauty salon, fully-equipped gym, laundry service, a tranquil library, babysitting services and high speed Internet access. 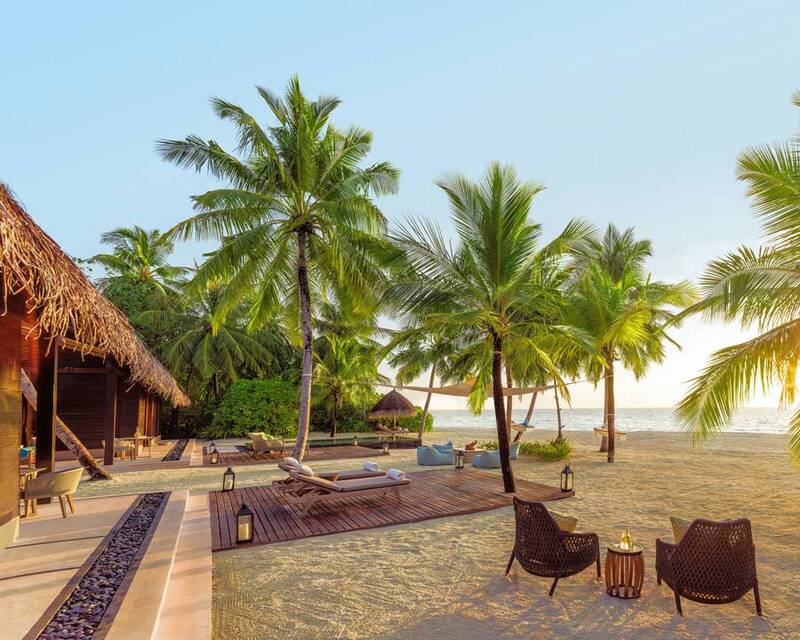 If you want to make the most out of your special Maldives holiday, don’t miss out on the amazing range of activities offered by the resort. 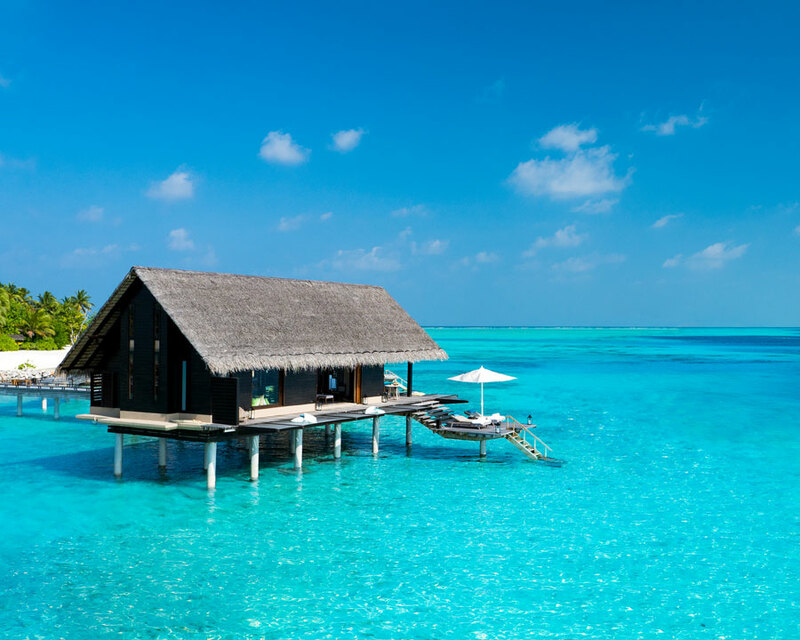 Deep sea fishing, sailing trips, table tennis, canoeing, thrilling banana boat rides, scuba diving and snorkeling in the heavenly Indian Ocean are only a few of the activities that One&Only guests can take part in. 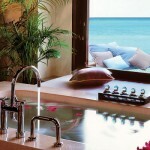 One&Only Spa, situated in one of the island’s most secluded spots, provides tranquil pampering experiences. 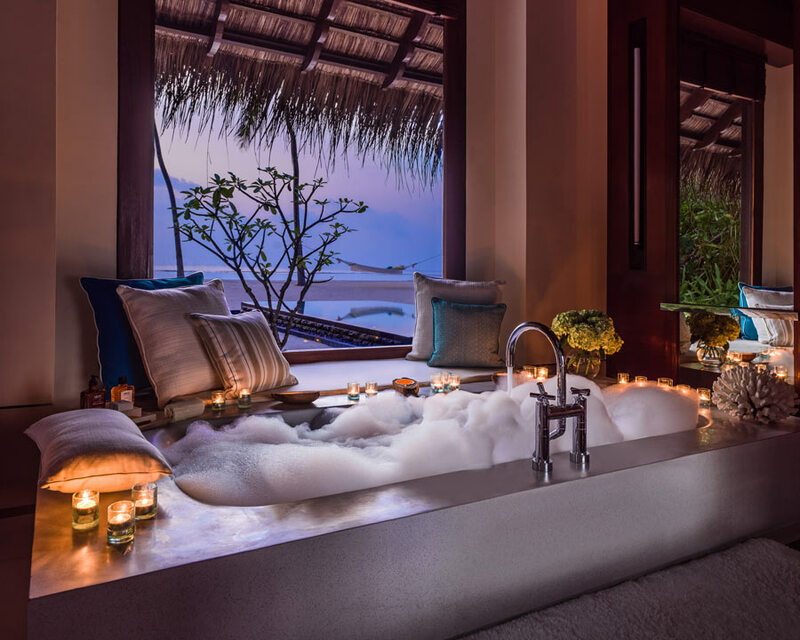 Let your holistic journey towards wellbeing begin in thatched roofed treatment rooms in this large spa which allows you to enjoy natural spa treatments based on Ayurveda traditions. 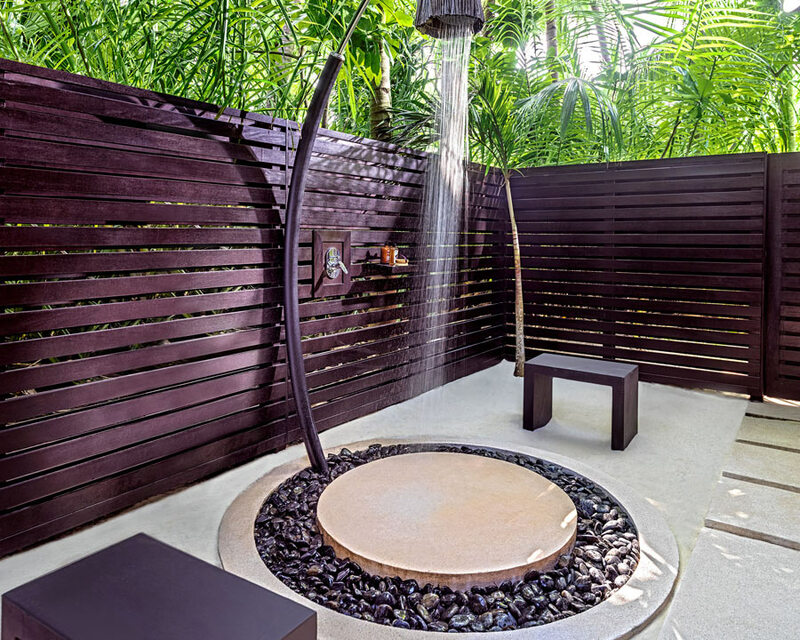 Aromatherapy massages, crystal steam rooms, ice fountains and sun care treatments are examples of treatments. 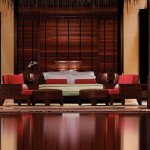 The premium vibe of One&Only is clearly reflected in the restaurants and cuisine of the resort. Step into one of the magic restaurants and you’ll want the evening to never end. 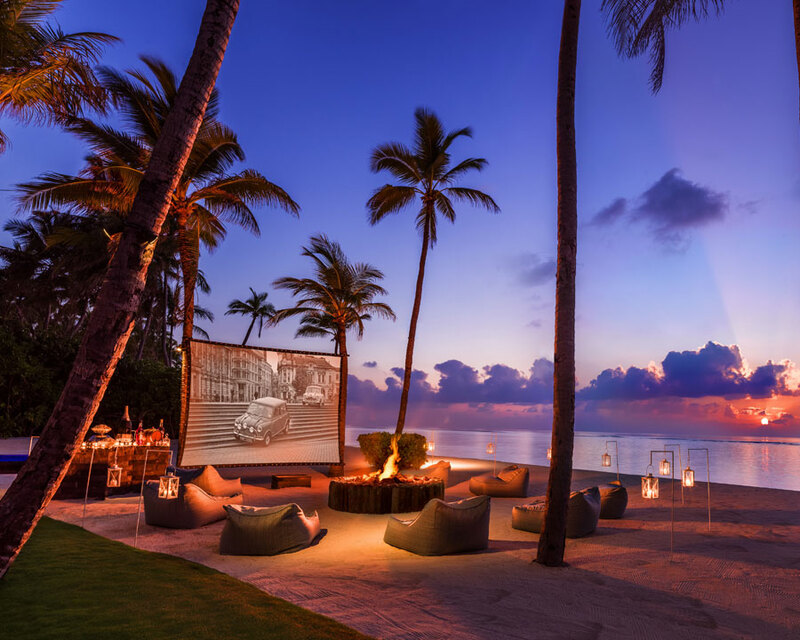 Reethi Restaurant offers Mediterranean and Asian cuisine in an intimate laid back environment in the centre of the island. The walk in wine room and see through kitchen make any meal here an exciting one. 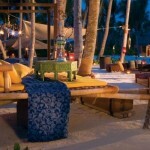 Fanditha is a stunning restaurant with a boho-chic atmosphere, located at the easternmost part of the island. 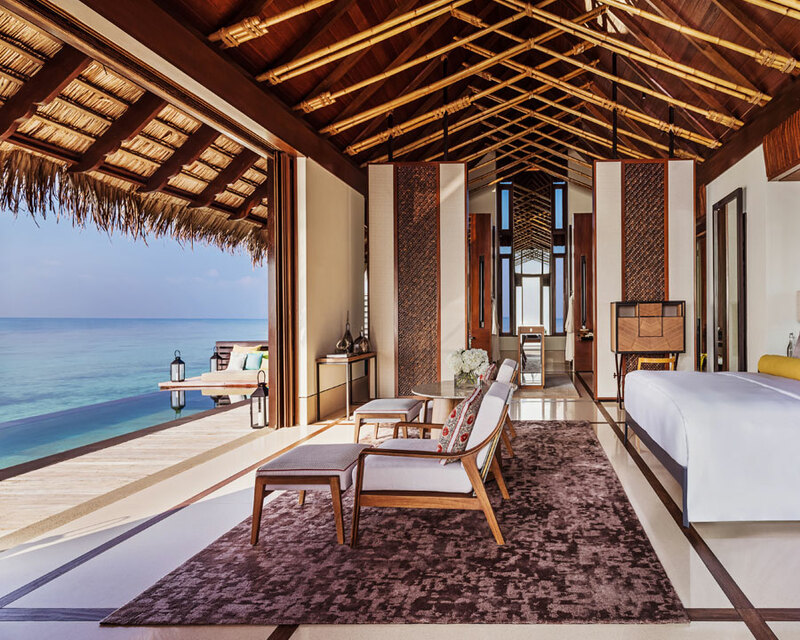 Lavish touches of Arabic carpets and woven hammocks serve as backdrop to Middle Eastern inspired dishes, such as delicious char-grills and mezze. 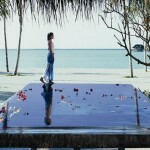 Tapasake, set above the turquoise lagoon, is known for its contemporary take on Japanese cuisine. The very best of ingredients and freshly caught sea food from the Indian Ocean combine to create wonderful dishes. The Beach Club at Club One is the newest venue at the resort and is open for lunch. 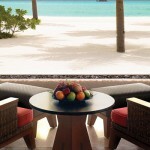 Here you can enjoy seafood and fresh salads directly in front of the crystal clear lagoon. 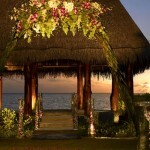 In-Villa Dining is the ultimate choice for a romantic dining experience with your loved one. 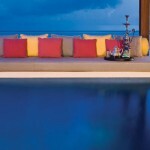 Make an order from one of the exclusive restaurant and enjoy your dinner in the privacy of your own villa. 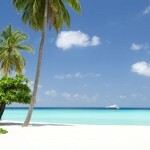 Simply Maldives Holidays offer a Bed and Breakfast option and a Half Board Package for guests staying at One&Only.